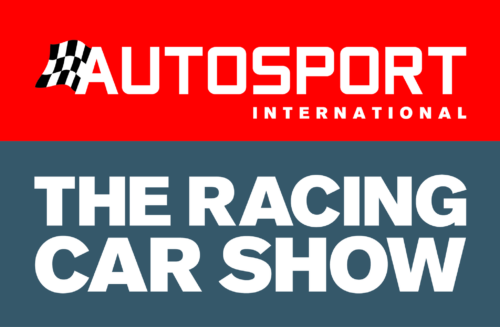 To be in with a chance of winning a pair tickets to this great event simply tell us which motorsport car you’d most like to drive, why and around what road or race course. For me I’d have to say the car I’d like to drive would be Aryton Senna’s McLaren-Ford MP4/8A chassis no. 6. This is the actual car Senna used to compete in eight of the season’s F1 races, and it’s still in running condition today. I’d like to drive it around Monaco, but I fear I am no where near good enough a driver, so I’d go for Spa or Silverstone. Spread the word and good luck. 41 comments on "Win a pair of tickets to Autosport International 2019"
I’d love to drive Colin McRae’s Subaru Impreza. It brings back memories of watching WRC as a child, and I would have to drive it round Swedens Vargasen track with it’s massive jump. I’d love to drive the 1994 Volvo 850 estate BTCC car around the track where I first ever saw the BTCC action with my own eyes, Brands Hatch GP. What a car and what a track! wow!! I would love to drive the Tyrrell P34 6 wheel grand prix car around the original Nurburgring. The most fun car and the most fun track combined. I’d go for the Ford Supervan 3 around Spa. The vehicle would be like nothing I’ve ever driven before and the circuit is a personal favourite with plenty of challenge. I’d love to drive my Dad’s MG Metro Challenge car from the mid 1980s around Cadwell Park. Why? Why not! It would bring back many happy childhood memories and Cadwell Park is my favourite circuit. Simple. The Brawn GP 001 F1 Car as it made for a great season and the story was just like a film! I’d love to drive it round Monaco, because who wouldn’t want to experience even just a lap of that circuit! I would like to drive a 1937 V16 Auto-Union Type ‘C’ on the old Nurburgring track and why? I like a challenge! Metro 6R4 around the Isle of Man TT course! What a buzz that would be. Great car and great circuit. That’s a dream drive for sure. I can’t think of anything better than to drive a 1926 Bugatti Type 35C around the old Brooklands Motor Circuit. It might not be too fast or powerful by today’s standards but I think it would offer a fantastic vintage motorsport experience! Dave, good choice, that’s a pocket rocket and a beast. The car I would most like to drive is the Group B world rally car the MG Metro 6R4. The car looks and sounds fantastic. It has rally fans from 7 years to 70+ years. The Metro 6R4 is still competitive with modern rally cars. I would want to drive one in a Welsh forest. Nice choices Ian. Spa, Monaco & Silverstone for me. The motorsports car I’d most like to drive would have to be the 1991 Mazda 787B. It is widely regarded as one of the best sounding cars of all time with a 2.6 Mazda R26B rotary engine, producing 700HP. This was the car that won the 24 Hours of Le Mans in 1991. For that reason the track I’d choose to drive it would of course be Circuit de la Sarthe. Although it would certainly be a thrill to drive on the Nurburgring as well, if only I had the courage! I’ve always fancied having a go in a Maserati 250F and channel my inner Fangio or Moss (if I have one) and where else but Monaco, such an iconic venue for the archetypal racing car. Like many people I’ve driven round Monaco as close as you can get to the circuit route but the Ford Kuga crossover rental car I was in didn’t really do it for me! Schumachers Ferrari around Monaco for the glitz and the glamour. What a great choice Lewis. What a car. I’d drive the 1997 Gordon Murray designed McLaren F1 GTR Longtail at circuit le Sarthe. Imagine the top speed down the straight with no chicanes! Full on Le Mans experience. Skyline R34 around nurburgring. Because who wouldn’t? It would be a dream, I want to experience that track in something truly fun and exhilarating. Opel Manta 400 over the Torr Head stage in Northern Ireland, because I remember watching Bertie Fisher, Austin McHale, Jimmy McRae, Russell Brookes and many other people drive it when I was a teenager. Tail out all the way! I would like to drive Ari Vatanen’s Peugeot 405 T16 up Pikes Peak Hill Climb, Colorado. The footage of this legend going up the hill is something I never get tired of watching and would love to experience the raw power of this 1988 car. I think it would have to be Graham Hill’s Lotus 49b around Monaco, he and the car had such an affinity with the track. Happy days. Spencer, that’s one very cool car. Nice choice fella. The car I’d most love to drive is Munari’s Lancia Stratos. I had a poster of his iconic white, red & green rally car on my bedroom wall as a kid and grew up with aspirations of driving one. It’s not happened yet, I guess the closest I’ve come is being a passenger in my uncle’s Fiat X1/9. The course I’d choose would have to be the iconic Monaco Rally although I think I’d be distracted by the stunning views. I have driven a sizeable chunk of the course, but I was with my wife & kids in our Ford Galaxy…definitely not the same as driving it in a Stratos! I would love to drive the World Rallycross Championship Volkwagen Polo R around Monaco. It may seem like a strange choice but imagine the thrill of the walls being so close as you go sideways around the bends. What a buzz that would be! I’d like to drive Jenson Buttons 2009 championship winning Brawn BGP 001. I think I’d like to take it round the Singapore Circuit. Love the night race there! Hi Chris, That’s a beast of a car. Nice one. Triumph TR7, my dream car after seeing it driven by Purdey in the New Avengers. Iconic British car driven by strong female character. As I’m not good enough to drive it on a rally course I’d take it for a run round Goodwood. A Ferrari F40 around the street circuit of Monaco to live my childhood memories of watching Senna on TV! a bloody big one and around silverstone!